One moment of recklessness will change their worlds Smart. Responsible. That's seventeen-year-old Breanna's role in her large family, and heaven forbid she put a toe out of line. 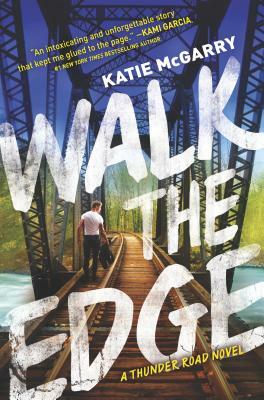 Until one night of shockingly un-Breanna-like behavior puts her into a vicious cyberbully's line of fire--and brings fellow senior Thomas "Razor" Turner into her life. Razor lives for the Reign of Terror motorcycle club, and good girls like Breanna just don't belong. But when he learns she's being blackmailed over a compromising picture of the two of them--a picture that turns one unexpected and beautiful moment into ugliness--he knows it's time to step outside the rules. And so they make a pact: he'll help her track down her blackmailer, and in return she'll help him seek answers to the mystery that's haunted him--one that not even his club brothers have been willing to discuss. But the more time they spend together, the more their feelings grow. And suddenly they're both walking the edge of discovering who they really are, what they want, and where they're going from here.